PINNED UP is the name of the solo-exhibition of Marcel Wanders at the Stedelijk Museum in Amsterdam which opened last week. This retrospective ‚pins up‘ his work from the last 25 years, and forms an overview of his eccentric work. Marcel Wanders, co-founder of the famous brand MOOOI is internationally known for his furniture, interiors and art direction. The exhibition is already called the „largest-ever survey of one of the Netherlands’ most distinguished designers.“ Pinned Up runs until the 15th of June 2014. 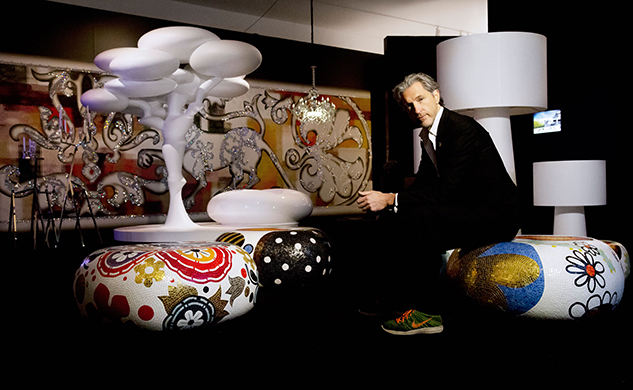 Click here to visit our page about Marcel Wanders and his products.